It’s been a few weeks since we’ve been able to make it to the grocery store. That means when it comes to putting food on the table, I’m digging into the pantry to see what’s available. One thing I was stocked up on was canned green beans. We bought them for times likes these – times when we’re out of the fresh and breaking out the canned goods. I thought to myself, “Self, there has to be a way to make canned green beans taste good.” And it turns out, there is. Chinese-style green beans are one of my favorite dishes at good Chinese restaurants. 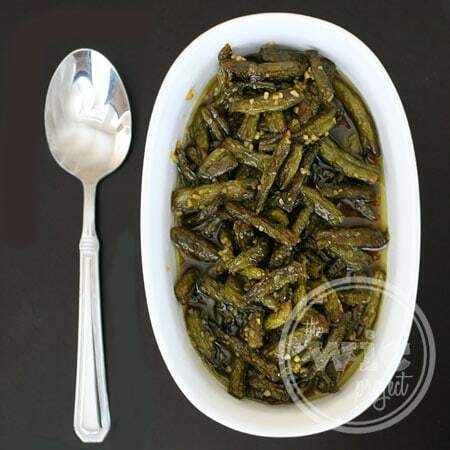 They have a blend of sweet and salty with that great crunch of the green bean. With canned green beans, I wasn’t sure if I could get the crunch, but I was definitely going to try for flavor. After cooking these Chinese-style green beans, there’s a new favorite side dish in the house. They tasted amazing made with the canned green beans so I know they’ll taste even better with fresh. If you find yourself raiding the pantry, keep this recipe for Chinese-Style Canned Green Beans handy. So good you won’t care they came from a can. 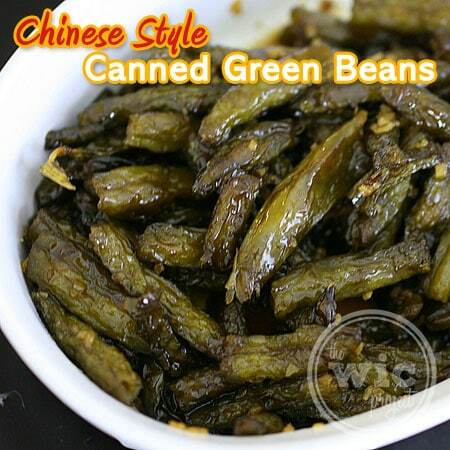 Savory and delicious Chinese-style canned green beans. Mix water, honey, and soy sauce in a bowl and set aside. Melt the butter and mix with the EVOO in a medium saucepan over medium-high heat. 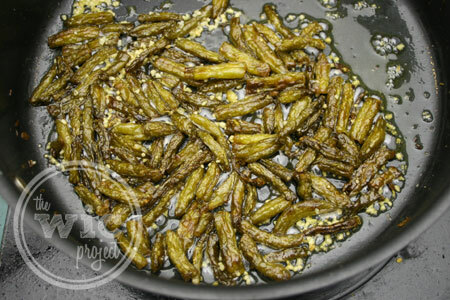 Open and drain the can of green beans then pour into the melted butter and oil, along with ½ tsp Kosher salt. Toss carefully so that all the beans are coated. Continue to cook the green beans, tossing every few minutes, until they start to turn brown (about 15-20 minutes). Reduce heat to low and add the minced garlic. Stir for about 20 seconds - you want to smell the garlic. Pour the water-honey-soy sauce mixture into the pan and continue to stir until the mix becomes a glaze, about 30-45 seconds. Serve in a shallow dish and enjoy! This recipe works with both canned and fresh green beans. If you go with fresh green beans, you’ll want about 3/4 lbs (12 oz) of green beans. You’ll also need to reduce the cooking time to 6-8 minutes. The canned green beans need a little more time to get brown since they’re usually soaking in water. We start off with the sauce. 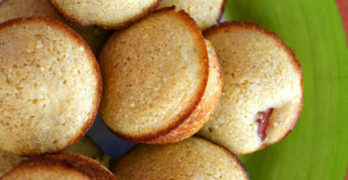 You can tweak the proportions to taste – more honey will make it sweeter. More soy sauce will add some salt. You can also use low sodium soy sauce for this recipe as well. Once you mix the sauce, set it aside. Next, we start cooking the drained green beans in the butter and oil. I found the canned green beans to be a little fragile, so I tossed gently in the pan. I also used a straight sided sauce pan for cooking the green beans. The trickiest part of this easy recipe is knowing when to reduce the heat and add the garlic. You want the green beans to start looking a little shriveled up and turning brown. It will look a little like this. Here I’ve just reduced the heat to low and added the garlic. Once the garlic is added, it will smell a-mazing. That’s when you know your garlic is cooking. Finally, add the sauce you made earlier and reduce it down to a glaze consistency. It doesn’t take long at all. 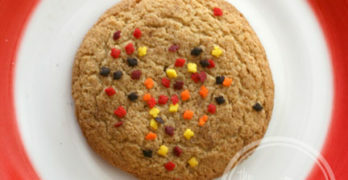 The first night I made these, it was so popular that it’s now a regular in our kitchen. I will say this isn’t at all a mild-flavored dish. If it has a little too much punch, reduce the amount of garlic and soy sauce to suit your tastebuds. If you give this a try, let me know what you think! How do you cook canned green beans? I have never even heard of this recipe! This might be the trick I need to get my son to eat them!! I love trying different recipes and this one sparked my interest.To begin with I love green beans so this will probably be a hit since we love Chinese too. This is a very different recipe – I love trying new ways of preparing regular ingredients and green beans are a favorite around the house. This would be a new way for me to make green beans.I will try it soon. wow who would think something so yummy could be made with canned beans! I have some canned beans sitting around – I want to try this asap! These look so good. Thank you for sharing! This was great! I was a little hesitant at first, but it tastes fabulous! My friend loved these beans and he couldn’t tell that I didn’t cook them with fresh beans. Thanks for sharing! I made these and everyone loved them! Mine didn’t look as nice, they resembled more of French cut green beans, but they were good. I made these and everyone loved them! Mmm. Delicious! I added more garlic, some chili infused honey for a kick, and threw some cooked rice noodles in at the end for a one pot meal. Exceeded expectations, highly recommended! When working I don’t make it to the grocery quite as often as I should. I just made this as a side for dinner but with some changes. I added red chilli pepper flakes, sesame oil, spring onion, a small amount of sriracha sauce and sliced almonds. 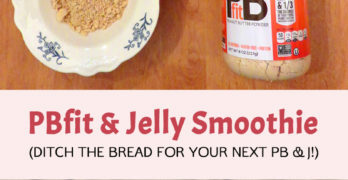 I loves this recipe! I think these are better than my local Chinese restaurant’s green beans!